When the Samsung Galaxy Camera was launched in Sep 2012, it was a bold step of Samsung to create a hybrid device, and ever since, Samsung has been developing this line to cater to the group of consumers who demands higher image quality with the convenience of online sharing. Many other manufacturers have taken the easier way out of developing Direct Wi-Fi connectivity solutions for their cameras to share images to the smartphones, but the major problem is the cumbersome connectivity. When I first tried the Galaxy Camera last year, I was not sold. The device is huge and bulky, the user interface is laggy, there is no phone function. Then again, I was expecting too much. It was after all a compact camera running on Android OS, just like the Nikon S800c. 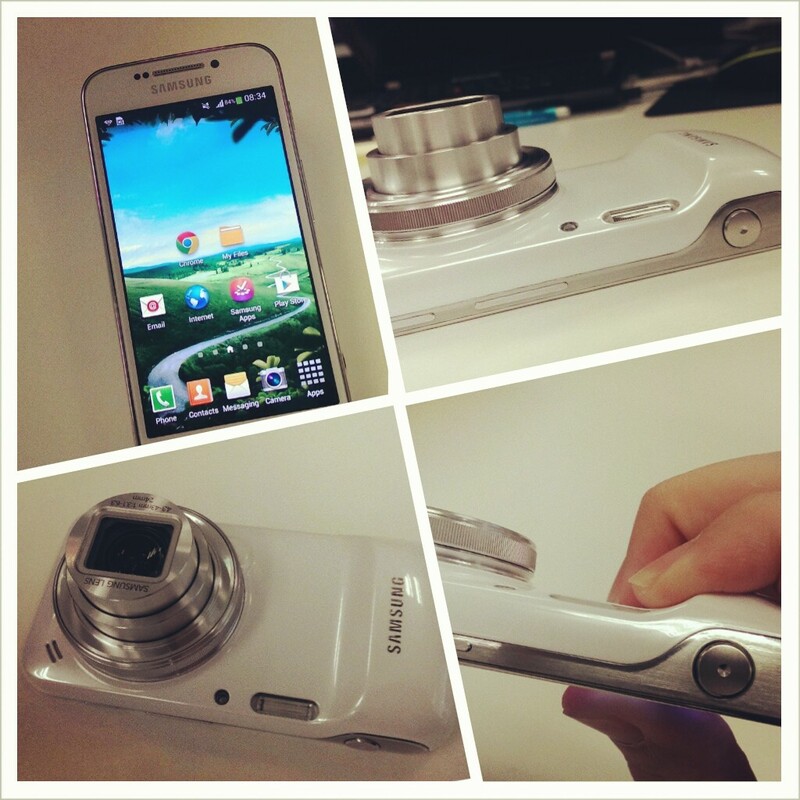 With the Galaxy S4 Zoom, Samsung has created a smartphone with optical zoom capabilities. The S4 Zoom’s Android interface works without lag just like a standard smartphone, complete with LTE network, NFC, GPS, internal 8GB memory, microSD card slot, voice call function and an IR blaster. The camera mechanism is speedy just like any smartphone. There are camera apps that improves the camera capture experience, like shortcut camera effects. Its battery is removable, benefiting consumers who take lots of photos and requiring multiple battery changes. The large 1/2.3″ sensor, which is already larger than most standard smartphones in the market, captures more image details, and will satisfy most users. Finally you can bring a single device that lets you zoom-in and capture good images and still offers smartphone functions. The S4 Zoom should not be designed to look and feel like a conventional compact camera. The camera-looking backface is really eye-catching, for the wrong reasons. A user does not want to be seen making a call from a camera. It does not look cool. The tiny grip also makes no sense since there is no way I can wrap my hands around it for a good grip. If I do that, my palm would have covered the rear screen and potentially triggering the touchscreen, so I end up holding it like a smartphone. Samsung should design the device to have its own identity. Create a stylish lens face. Look at Nokia Lumia 1020. And a 10-times zoom is just an overkill, since most of the time it is not easy for a casual shooter to capture a steady shot at the zoom-end. I would rather Samsung work on quality lens with bright zoom on a limited zoom range, or a less-protruding lens with shorter zoom range. I have high hopes on Samsung. It is moving in the right direction, offering compact camera zoom on smartphones. For consumers who adore a camera-look on their smartphones, the Samsung Galaxy S4 Zoom does not disappoint. But for me, I would prefer Samsung to work on its design. After all, a new innovation necessitates a new innovative identity.